Self Defense Techniques such as I am about to show you are what I call a universal technique, which is to say they works on both sides of the body. Really, to train specific actions for one side of the body or the other is simply to accumulate possible self defense confusions. The following self defense technique is derived from various martial arts styles, but is specific to Karate, some styles of Kung Fu, and Tai Chi Chuan. A fight is not a fight without a strike. People can posture about, yell insults, wave their fists, whatever…but until the strike is launched the fight has not begun. This simple fact brings us to an interesting little premise which can help you win all fights easily and quickly, and it is a lynch pin to good martial arts instruction. The premise is…which side of the body are you going to end up on? To make this self defense technique work, you have to consider that the arm is a lever. It juts out from the life support system (the body) for various purposes, and when the specific purpose becomes a strike aimed towards you that arm becomes a lever. 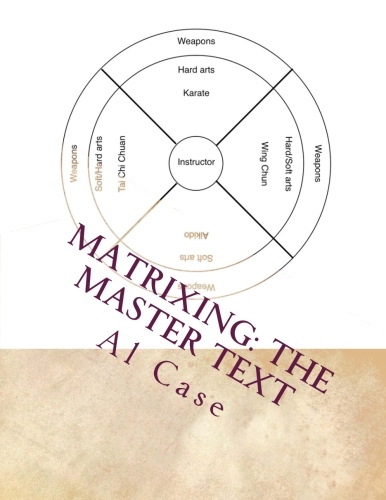 Consider, to strike another person one must intend for the arm to ‘Enter’ that person’s space, and once the arm is within the other person’s space it is no longer solely within control of the originator. In fact, I like to tell my students that if a person strikes me, they have given me their arm. The first thing to understand in this self defense technique of changing a strike into a lever is that a small body motion is all that is necessary to accomplish this fact. A small turn or step and the strike will bounce off. Yes, it may hurt, but the potential for major damage has been undone because the weight behind the strike cannot transmit into the body being struck, and this opens the door for your self defense technique. Let me make a necessary point here. A strike, to be effective depends upon weight being transmitted from one body to another. Think about it, it may change the way you strike. So the attacker misses. You may be a little off balance, you may even be a little unaware of what is happening, but all you have to do is raise or lower your arms, whichever is appropriate, trapping or grabbing his arm, and continue the turn or step of your body. Now the person’s strike has become a tether which is undoing him. Remember the point I just made about a strike being dependent upon weight transference from one body to another? Well, there is no reason we can’t apply that same point to a lock or martial arts throw. The weight transference needn’t be fast, or even a lot, all it needs be is enough to unbalance the attacker, and suddenly the game has shifted, for the defender, from being struck to being in control. Let me ask you, at this point, which side of the arm are you on? This is a very simple yet crucial point, because it will design what your self defense technique will be. If you are inside the arm you may need to be aware of the attacker’s other arm. You have lots of points you can attack on the inside of an Attacker’s arm, but you have to watch out that he doesn’t strike you with his other arm. 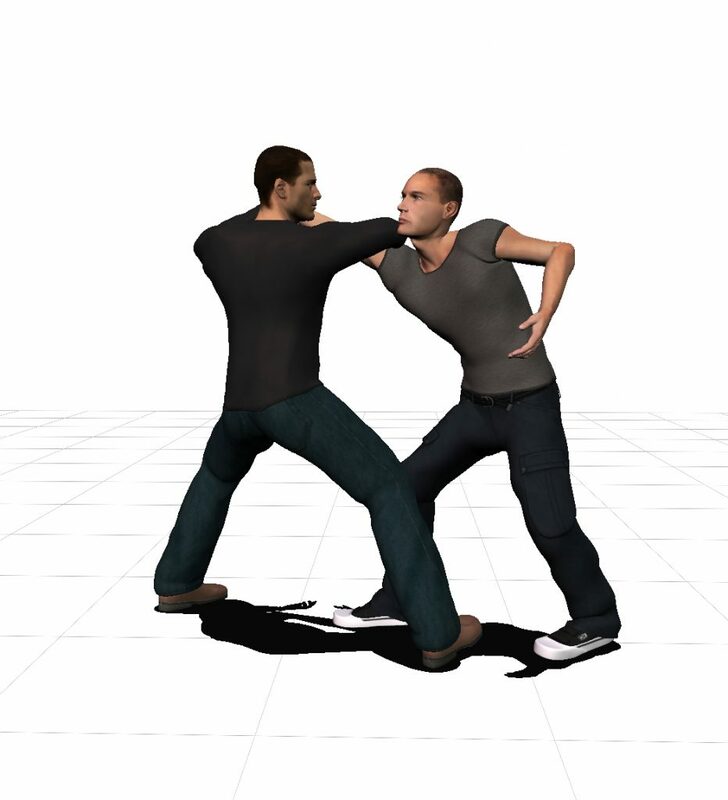 The best place to make self defense techniques like these work is on the outside of the Attacker’s arm. The outside of the arm is better armored, it is not soft and fleshy, and there are not so many points you can attack, but you don’t have to worry about the attacker’s other arm disrupting your self defense technique. The first martial arts move to do, when you are on the inside, is to run against the attacker’s arm. This is a trick from Pa Kua, and the idea is to move his arm by ‘Out body parting’ it. This means that his twenty pound arm is forced to the rear of his body by your entire body weight. By doing this you run away from his other arm and a secondary attack. Once you have started the turn there are two major locks you can apply. Which one you apply will depend upon which way his arm goes, up or down, as he tries to lessen the pressure on it. For the purposes of this article we will assume that you are on the inside of his right arm, and that you are moving to the left around him. 1) If his arm slants down you can move your left arm out to the wrist and the right arm across his neck and go for a Vertical Arm Pin, which is an Aikido or jujitsu technique. It will take practice to make sure that you keep his elbow from bending, and for maximum eficiency you must move his arm until it is perpendicular to the ground. If his elbow bends you can slide into an elbow lock. This lock can take place at a variety of places along the arc of the arm, and you will have to explore the various places your opponent can ‘Wiggle out’ to make sure that you can hold him tight. 2) If his arm slants up he has really lost the ballgame. You don’t have a nice, neat Vertical Arm Pin, but by raising his shoulder he has unbalanced his upper body, and therefore his whole body is tilting. This leaves his torso open for karate or kung fu strikes, his neck open for a jujitsu choke (against the carotid), and himself in an unbalanced ‘Falling’ mode. If you are outside of his arm you are in the better position to make this self defense technique work. He has to be strong enough to go against your strength when he is in a weaker position, or turn his back in an effort to slip out. Your best lock, in this position, is the judo simple arm bar. If he tries to wiggle out by raising his elbow you can slip to an elbow lock. If he tries to wiggle out by lowering his elbow you can slip into an even better elbow lock, one with your whole weight resting on his arm. Let’s assume that you are inside or outside the arm and that you can’t create the lever with which to manipulate his body. There are usually one of two things happening. 1) If you are on the inside of his arm and can’t quite get a lock it is probably because he is moving with you. Because you have locked his arm so he can’t get away the fight is taking place in short range. This means that you have several ‘Muay Thai’ options with the knees and elbows. A quick strike can sufficiently distract a person struggling to avoid a lock so that he becomes ‘Lockable.’ I call this the ‘Shock and Lock’ Method. If you are under the arm you can strike with a karate elbow spike to the pressure point in the armpit. If you are over the arm you can strike with a karate spike to the head or the neck. 2) If you are on the outside of his arm and can’t quite get a lock it is probably because he is making his arm too rigid. After all, you are attacking the more armored part of the arm and this is where his strength and shielding will occur. So if you can’t make an arm bar work with direct pressure you can angle the pressure by pulling down on his wrist and pressing up on his elbow. The attempted Arm Bar will become an Elbow Roll, and the attacker will find himself prone to a nose dive into the pavement. 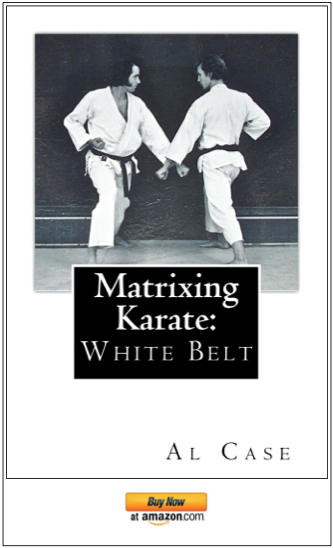 At this point, because a fight is fast and furious, you may not have the time to do anything other than work on the two major self defense techniques I have just mentioned. These techniques are very important, and you should practice them until they are totally and absolutely ingrained within your intuitive psyche. But though a fight may not go into the area I am about to describe, it is certainly helpful for your overall knowledge of manipulations. There are several minor pressure points you can strike or dig into, and these pressure points will cause the attacker to ‘Twitch into’ the motion you want him to make. 1) There is the pressure point under the armpit. This is a great one because it is easy to find and the whole side of the body will go into shock when you strike or spike it correctly. 3) There is a pressure point on the inside of the wrist about one inch above the wrist joint. This one is right in the center and easier to find than you might think. You do have to be willing to dig a little, but your vertical arm pin self defense training is going to love you! 4) There is a pressure point on top of the forearm (right at the top of the muscle!) right below the elbow. This one is sometimes hard to get, especially if you’re short on time, but when you get it you will be surprised at how effective it is. 5) There is a pressure point on the side and in the center of the neck. This one is easy. Just dig into muscle and you will find it and your opponent will come apart. There are other pressure points which are very accessible from the techniques we have been discussing, but just as the techniques provide entry to other techniques, these points I have mentioned will provide knowledge which will lay bare other pressure points. You do need to do extensive work in this area to further proceed, however. Just a word of caution. While I have not given you any mystical pressure points which will result in massive body breakdown, the ones I have given you should not be taken lightly. They can cause extensive damage and should be practiced with extreme caution. Your self defense tactics must be very fluid when you find yourself in a real fight. 1) an arm offered to you, if you can keep a cool head, becomes a lever for your enjoyment. 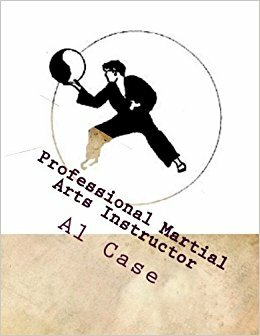 2) Once you have the arm you can rely upon two major martial arts techniques; one, if you are inside the arm, and two, if you are outside the arm. 3) The two major self defense techniques will lead to several secondary options. 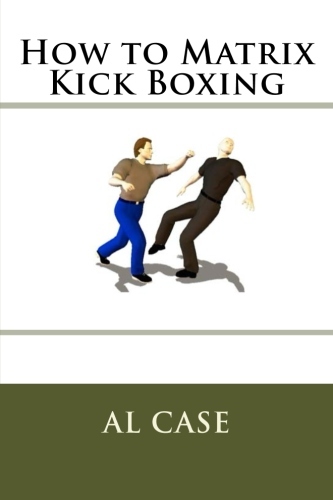 4) If the person you are attempting to lock needs a little softening up you can do a little ‘Shock and lock’ with elbow strikes, or other types of Karate strikes. 5) There are pressure points which will help you in your manipulations. Don’t rely on these pressure points until you are secure in your abilities to manipulate an attacker with ease. 6) There are other self defense techniques which other Arts may propose. This is fine. The point here has been to make you think about the fact of catching another person’s arm until the fact of being struck merely opens self defense opportunities. Being struck at can really be a lot of fun. 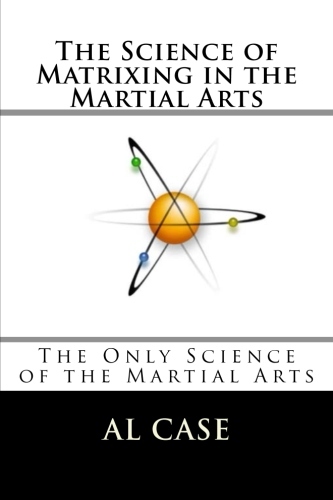 THis has been a page about martial arts self defense techniques.